So you want to start a Crowdfunding Portal…. 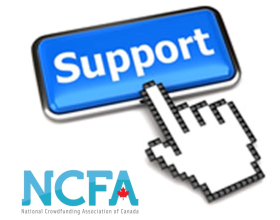 Crowdfunding and Fintech in general are demonstrating dramatic growth due to many factors including the growth of the sharing economy, technology innovations and the liberalization of securities regulations in the US and Canada. A sure indicator of critical mass for online industries is the entry of white label software. Equity crowdfunding, real estate crowdfunding, marketplace lending and other white label (also called private label) fintech solutions are now available in many countries. These solutions can provide more than the ability to start a new portal. What may surprise you is that white label has evolved so that it can also generate strong returns for certain existing businesses like real estate developers. Part I of this series looks at how white label crowdfunding works, applications, pros and cons plus key considerations in choosing a white label strategy. Part II will introduce some of the primary vendors, their reference customer sites, key considerations in selection and other insights to help you navigate the options. What is White Label Crowdfunding? Software that enables the offering of Crowdfunding or investor management functionality without the huge capital expense and lengthy timeframe of building software/portals from scratch. Most vendors operate on a SaaS model of software delivery enabling access from all devices with an Internet connection and web browser. The ongoing licensing (and usual monthly subscription fees) grants access to software upgrades, new features, customer support, IT maintenance and central hosting. What are White Label Crowdfunding’s Applications? Are you a financial services firm like a fund, asset manager, broker, dealer or bank? Do you have assets and investors to acquire and manage? Do you conduct private placements, syndication or other deals offline? Read on. Or are you a business that requires considerable investment or financing to operate like a real estate developer? Do you have funding gaps or a desire to market projects in innovative new ways? You’re in the right place. Or are you an entrepreneur interested in running a crowdfunding portal or platform? Do you have a relevant background in technology and/or finance? Each of these businesses can benefit from exploring the benefits that investment “crowdfunding” software can offer versus current processes and existing financial services software. Let’s consider then the pros and cons of Buy (White Label) vs. Build (Custom development). Speed – Vendors offer site build-outs in as soon as 4 weeks. A more conservative timeframe would be 2-3 months. Custom software can easily take one to two years for development. Reduced capital investments – Set-up fees typically range from USD $5,000 to $25,000 with ongoing monthly fees of USD $1,000 – $3,0000. SaaS reduces the need to invest in your own hardware for hosting. Custom development can easily exceed $500,000 in relatively short order given the high cost of quality developers, design, QA and compliance resources. Best practices – Vendors have the benefit of serving multiple customers and often multiple markets providing key learning on what works, trends and feature demand. Customers get access to these upgrades ongoing. Security and Maintenance – Centrally hosted solutions are designed to be robust and scale reducing downtime or unwanted access. The IT experts retained by the vendors can provide support and maintenance often without additional fees. Reduced project risk – Selecting the right vendor can provide access to valuable expertise on markets, product and tactics. They bake into the workflows the compliance required in the markets they operate in and with the exemptions or regulations applicable. They also may provide models, networking, business advice or other value.